Parasitic draw sounds like something that would describe an illness or insect, but instead has everything to do with automotive batteries. Continue reading to what parasitic draw is and what causes it to happen in car batteries. Parasitic draw, also called drain, is the electric current that flows through a vehicle, both while it runs and after the ignition is turned off. You know how you can forget to turn off your headlights, and then your car won’t start the next day? Well, this is just one example of parasitic drain. Modern cars and trucks can easily come equipped with over 50 onboard computers tied together in a single system. This means there are numerous operations using electricity in vehicles, even when the engine is not running. Once the engine is turned off, most cars computer systems will enter sleep mode, and reduce the amount of parasitic draw to less than 0.05 of an amp. Alarms, stereo systems, clocks, interior lights, engine management computers, GPS, Bluetooth, Wifi, charging docks, seat heating modules, and more are just a few operations that can drain a vehicle’s battery while the engine is off. Even bad instrument panels are known to cause parasitic drain. If one or more system fails to “go to sleep”, it can use up enough electricity to discharge a battery overnight. Sometimes if the battery doesn’t discharge too much, the alternator can restore the energy when the car is driven. This process is called “deep cycling the battery”, in which the battery is deeply discharged and then restored. If a vehicle is experiencing this up and down cycle of battery problems, the issue needs to be fixed in order to make it stop. But can you stop parasitic drain? Or at least slow it down? Sure, as long as you are conservative with your car’s computer system use, and provide proper battery maintenance, you should experience the minimal standard for parasitic drain. But after a while, even the best quality car batteries die and will need to be replaced. Talk to your local Indianapolis auto repair shop about your vehicle’s factory scheduled maintenance needs, and learn the right way to care for your battery. They can teach you what’s necessary for your vehicle’s battery life, as well as, all other areas of car maintenance. It is important to have your vehicle serviced at all the right intervals in order to increase safety, performance, and longevity. Call Northeast Auto at 317-475-1846 for affordable auto repair and routine service in Indianapolis, Indiana. We provide domestic and foreign car repair and factory scheduled maintenance for all make and model vehicles. 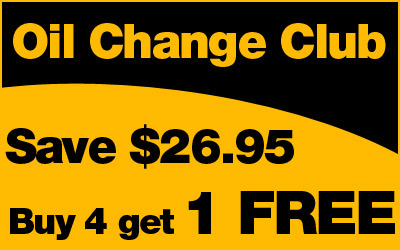 On top of competitive prices, we also offer car repair coupons and discounts! Call 317-475-1846 to request a free estimate, today. This entry was posted in Car Care Tips, Factory Scheduled Maintenance and tagged car battery power drained, car battery replacement Indianapolis, Dead Car Battery, Parasitic Drain car battery, Parasitic draw facts. Bookmark the permalink.